Let’s start off by translating all the stuff in the very long name of this wine: Cleto Chiarli is the oldest producer of wine in Emilia-Romagna, Italy. 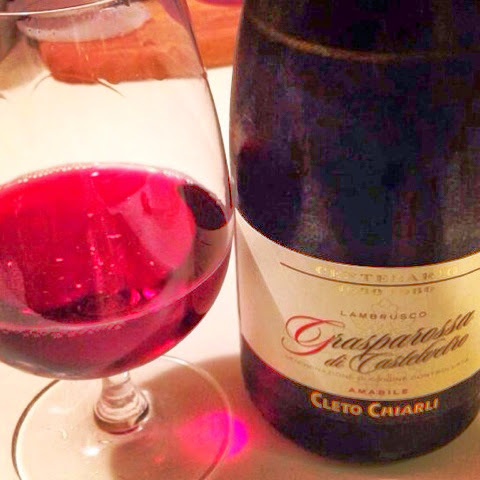 Lambrusco is a grape that originates from Emilia-Romagna and can be traced all the way back to the Etrsucans. Lambrusco Grasparossa di Castelvetro is one of the eight Italian DOC regions that specialize in making Lambrusco into a slightly sparkling, frizzante red wine. Amabile is an indicator that it is off-dry from the presence of residual sugar. 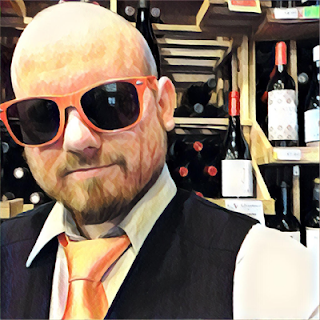 In summary: what we have here is a fine wine quality, kinda sparkling, just-a-tad (but not really) sweet red from a producer with deep tradition. This is NOT Riunite Lambrusco. The wine is ruby colored with bubbles forming a pink froth on the edges. The nose shows plum, black olive and dry rock. The palate is loaded with strawberry fruit with a little tickle from the bubbles. What sweetness it has only shows up with its delicious watermelon candy finish. You have got to have this with pizza! I’m telling you! Call for delivery now! It’s perfect for antipasto, Emilia-Romagna being pretty much the cured meat capital of the world. It will also go well with salad, especially if you throw some cranberry-raisins in there. But you don’t need food to enjoy this yummy awesomeness. Just serve slightly chilled every time. Rating: 5/5 = Highly Satisfying.